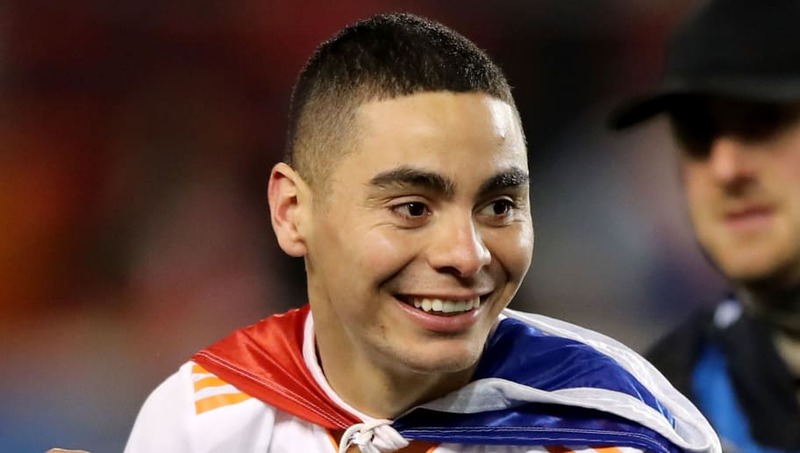 ​South American football expert Tim Vickery believes that MLS star Miguel Almiron would be a success in the Premier League if he makes the switch to Newcastle United. The silky 24-year-old, who plays for Atlanta United in the MLS, has been heavily linked with a move to St. James' Park this month and Vickery has backed Almiron to be a welcome addition on Tyneside. ​The Daily Star quote Vickery from the Transfer Talk podcast as saying: “Can he cut it in the Premier League? He’s a player I like a lot. “He was the best player in the Argentine league, he helped Lanus, which is a relatively small first division club, and he helped them win the title. He has terrific pace, really wonderful acceleration and a lovely left foot." Atlanta United, winners of the MLS Cup last season, have already signed a replacement for Almiron in Gonzalo Martinez from River Plate which has opened the door for the Paraguayan to leave during this window. However, Newcastle may be in for a bidding war as Atlanta look to attract several suitors for their star man in the hope of eking out as much profit as possible. “They’ve done very, very well out of him and it seems at the moment that they’re playing poker, " said Vickery. Almiron registered 12 goals and 13 assists in the MLS last season and the Magpies could use a creative spark in the second half of the season in their bid to avoid relegation. Rafael Benitez's side are hovering above the bottom three in 17th following their vital 3-0 win over relegation rivals Cardiff City on Saturday.